Roofing can be seen as an eternal struggle when even the best maintained roofs have to be replaced at some point. Roofing can be seen as an eternal struggle when even the best maintained roofs have to be replaced at some point. Over the years, roofs deteriorate to the point where repairs are no longer enough to keep them from leaking due to constant changes in seasonal weather conditions. When you finally realize you need new roofing in, you’ll want to make sure you’re as prepared as possible before the installation process begins. If you take just a little time to prepare yourself and your home beforehand, you can prevent unpleasant surprises and make sure that your new roof is installed as smoothly as possible. Keep Your Pets Safe: First and foremost, if you have any pets, keep them inside while the work on your new roof is in-progress to prevent any accidents. Park Elsewhere: installation process so that the roofers can park closer to your home, allowing for quicker access. Take Down Loose Items: Roofing installation can cause vibrations that travel through your house. Before installation begins, remove any hanging items from your walls and loose items off the shelves. It is best to wait until after your new roof is finished before you put these items back up again. Check the Perimeter: Clear a space around your home, so that if any materials happen to slide off the roof, they won’t accidentally land on patio furniture or potted plants. It’s crucial to choose a contractor with the proper qualifications to install your new roof. Getting a qualified contractor ensures that your home is getting the best work possible to prevent further issues down the road. It’s also vital to know what the full cost is going to be before you begin the process of installing your new roof. Make sure you’ve accounted for the cost of roofing materials, for the square footage of your roof, any permits required during the installation, and the cost of labor for the allotted installation time. Most contractors provide free roofing estimates, which can be a huge help in accurately calculating the cost ahead of completion. 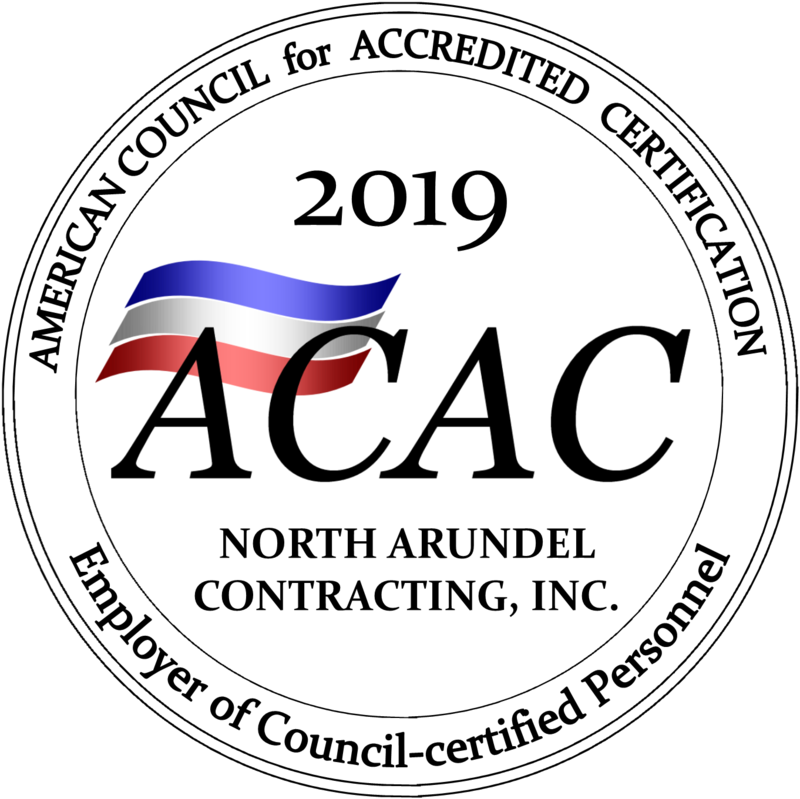 CALL ON NORTH ARUNDEL CONTRACTING FOR YOUR HOME’S ROOFING REPLACEMENT! Feel free to get in touch with us on our contact page. Reach us by telephone at 410-766-2855, or by fax at 410-553-2367. Our email is nac@nacontracting.com. For after hours emergencies ONLY, reach us by pager at 410-541-0328. Be our friend on social media! Pin us on Pinterest. Here is our Facebook. Follow us on Twitter. Lastly, find us on LinkedIn. This entry was posted on Friday, September 8th, 2017 at 2:45 pm. Both comments and pings are currently closed.